Give To What you Believe in…Believe In What You Give! We thank Daniel, Lashawn, and Katie who are now moving on to other challenges. 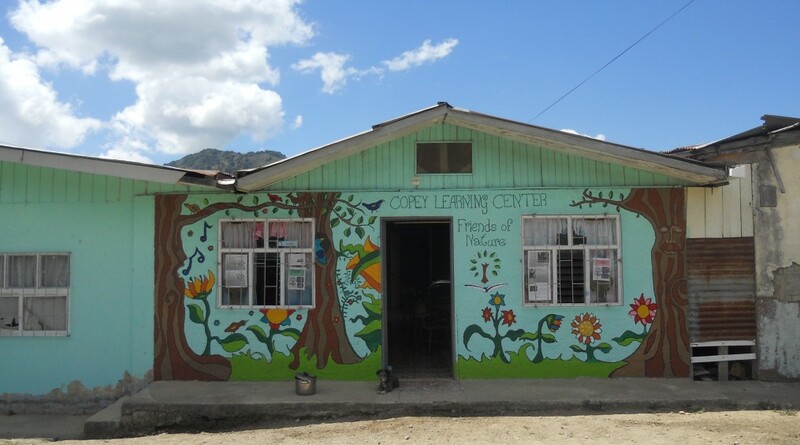 As with all volunteers at the Learning Center, the time spent in the Copey community and with the Learning Center students provides life-long memories and sense of accomplishments. The good news is that Melody, our Emory & Henry College volunteer is now at the Learning Center to provide some much-needed assistance. I am waiting to hear about other potential volunteers who may be also on site. receiving donations representing about 32% of our goal. What is unique about this specific fundraiser is that primarily only E&H College affiliated “Friends” requested to support the “Pathway Project”. In 2016, only 23 requests were sent to only former graduates or other E&H College affiliated supporters. The goal was to have the very first “Pathway Project” completely funded by E&H College folks. These college “Friends” responded in great style and exceeded the goal by almost 60%. This spoke very highly of both the quality and worthiness of the “Pathway Project” and the great generosity of those connected to my college. This year, the official request was sent again to 100% E&H College affiliated “Friends” and as anticipated, positive responses are arriving. In addition, a dear friend and brother in Honolulu has made a donation to the travel fund. So, this year we expect to have a mostly E&H funded “Pathway Project”. We have only two weeks left for the campaign and I trust we will have similar success as last year. For the record, the “Pathway Project” is unique and not duplicated by any programs I am familiar with involving international students or exchange student programs. We are reaching deep into a rural community with very limited resources to provide another two high school students an academic related trip to an American college campus. The short and long-term impact on the lives of these students, their families, and the community are beyond measuring. Next week, I will provide the second of four updates on our fundraising progress. So please keep a watchful eye. As we all know, the official start of Stage 2 has not begun. It will start soon and likely in July. There are things going on behind the scenes even now. In keeping with my promise to continue providing some updates on this emerging project, consider the following. At times I look back on old Posts. What I sometimes find is very surprising to me. First, the reality that we have come this far (many but not all of us) without much more than the identity of being “Friends”. I also find that we truly do move along with a lot of faith and dedication. I am surprised to see some of the quotes I selected and the titles of some of my Posts. Both of these seem to come at a time when I am really inspired or feeling very emotional. Who in their right mind would believe that a New Learning Center could be built in a small and rural town such as Copey, Costa Rica? The location, the distance, the financing, and a host of other obstacles all provide plenty reasons to take on far less demanding projects. The question regarding who would entertain such a project is a great question. The only possible answer is…a band of “Possiblitarians”. You know…those people who dare to raise their sights and see possibilities! Back on February 28, 2016, I asked if you were a “Possiblitarian”? So far, the evidence based on our accomplishments suggest we are. Stay tuned! PS: If you need a little boost call on me, OK?